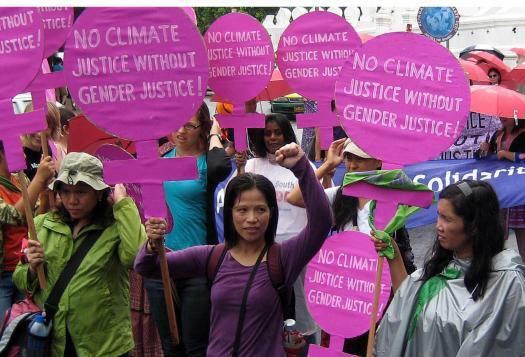 Welcome to the Gender and Climate Change Quiz created by GenderCC - Women for Climate Justice. The information used to generate the questions and answers can be found on www. Gendercc. Net. Test your knowledge and find out more about the linkages between gender & climate change! In which year and country was the first ever UNFCCC Conference of the Parties held? How many official observer constituencies are there within the UNFCCC? Which of the following ecosystems hosts 70% of the world´s flora and fauna? Which kind of energy production is behind much land-grabbing currently taking place? In the EU, the percentage of female employees in the energy industry is about 20%. Approximately how many deaths per year are caused by indoor air pollution? The transport patterns of men and women differ, both in developing countries and developed countries. Unlike the UNFCCC and the Kyoto Protocol, the Convention on Biological Diversity and the Convention on Desertification and Drought mention "women’s roles". What percentage of food is estimated to be produced by rural women in Africa? High consumption of meat is very common in industrialised countries. What percentage of emissions does the livestock sector contribute to global greenhouse gas emissions? After being signed in 1997, which year did the Kyoto Protocol enter into force? Market-based solutions to climate change impact men and women equally. Match the forms of transport with the percentage of GHG emissions they are responsible for releasing in terms of transport. The newly created Global Climate Fund is gender blind.